A large block with sections cut from its middle as well as a blocks protruding from the top. It sits off center on a cylindrical base. 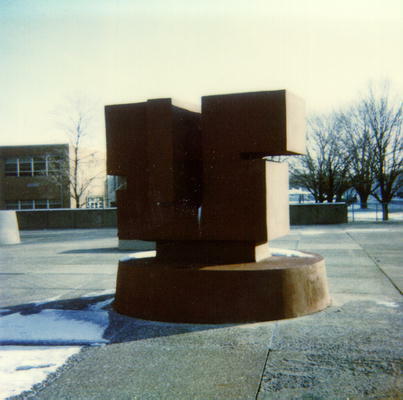 : “Untitled,” Ohio Outdoor Sculpture Inventory, accessed April 22, 2019, http://oosi.sculpturecenter.org/items/show/400.